Your laptop is a valuable device, therefore it’s important that you know how to protect it properly. In addition to protecting your PC from malicious users online, you also need to protect it from thieves. The best way to do that is to use a laptop lock, and speaking of which, today we’re going to show you the best laptop cable locks for your Windows 10 laptop. What are the best cable locks for Windows 10 laptops? This cable lock for your laptop has a compact design, and since the cable retracts, you can easily carry the laptop lock with you. The lock is simple to use and you can secure your laptop with a single click. Thanks to the 4 feet steel cable, your laptop will remain safely locked and protected from theft. According to the manufacturer, the lock works with 99% of laptops, so you should be able to use this lock with almost any laptop on the market. Regarding compatibility, the lock isn’t compatible with certain Dell laptops such as some Inspiron, Latitude, Venue, XPS, and Chromebook 13 models. These models use Noble lock slot, so they aren’t compatible with this laptop lock. Before making a purchase, be sure to check your laptop’s technical specifications and see if your device is compatible with this lock. Kensington ClickSafe Keyed Retractable Laptop Lock is a simple laptop lock that will protect your device from theft. This laptop lock is designed for ultra-thin devices such as Ultrabooks and tablets, but it can also work with standard laptops. MiniSaver Mobile Lock uses Cleat Locking Technology, so it’s compatible with devices that have Kensington Security Slot or the Kensington Mini Security Slot. This technology uses retracting claws in order to create a secure connection between the lock and your laptop. The claws will grab on to the internal sides of the security slot thus creating a strong connection between the device and the lock. The lock comes with off-body design which means that the lock won’t block any ports on your laptop. We also have to mention that this lock is incredibly simple to use. Simply attach it to your laptop and press the single button on the lock and your device will become locked and secured. 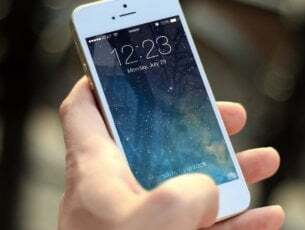 If you want to unlock your device, simply use the included key. It’s also worth mentioning that the lock can be rotated so you can easily insert the key. The lock uses carbon steel cable that is cut-resistant, so it will make your device completely secure. In addition, the cable is also covered with protective plastic. If you accidentally lose your key, you can use Kensington Register & Retrieve programs to order a replacement key. Kensington MiniSaver Mobile Lock is a great laptop cable lock with a simple design. As we mentioned earlier, some locks on our list aren’t compatible with Dell laptops. Certain Dell laptops use a Noble lock slot, and if you have one of those laptops, today we have the perfect laptop lock for you. This is a simple lock, and it will secure your laptop with a single press of a button. The lock comes with reinforced steel cable, patented peripheral trap and set of keys. This lock also supports master key, which is useful if you lose your keys. Regarding the compatible laptops, this lock is compatible with Dell Venue Tablets, XPS 11,12,13,15 and 18. 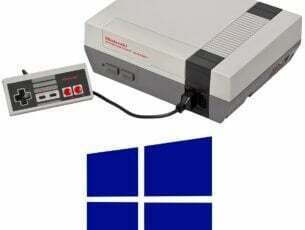 The list also includes Precision M3800, Inspiron 3000 series 11,13, 7000 series 13,14 and all Alienware notebooks. This lock comes with a strong lock head that will provide great security due to its design. The lock is tamper-resistant so your laptop will remain protected. This lock uses T-Bar Locking Technology to attach itself to the Kensington Security Slot. The lock has a 4-wheel number code, and it supports more than 10000 different combinations. We have to mention that this lock has a push-button design that allows you to attach to your laptop with just one hand. The cable is made from engineered carbon steel and covered in protective plastics so it’s cut-resistant. Just like many other Kensington laptop locks, this one also works with Register & Retrieve program. 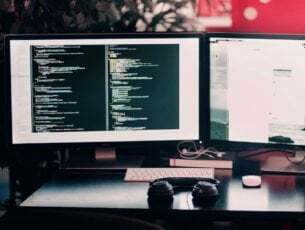 By using this program you can easily restore your code in case you forget it. 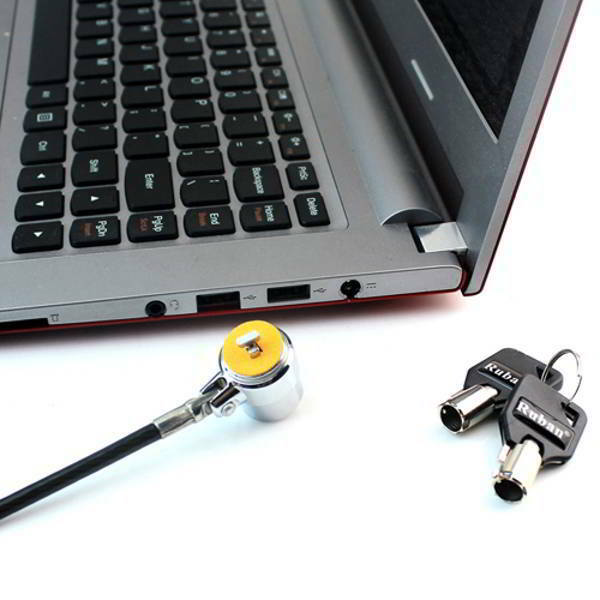 If you want to protect your laptop, you might want to consider RUBAN Notebook Lock and Security Cable. 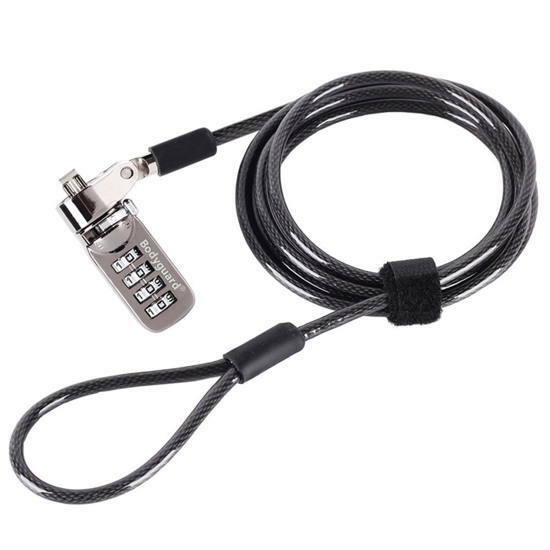 This lock comes with 6.2 foot universal security cable that will protect your laptop from theft. This is a simple lock and it comes with two lock keys. There are no number combinations, so you can easily unlock your laptop by using one of the two available keys. This lock uses T-Bar mechanism, and it should be fully compatible with all laptops and other devices that have a standard security lock slot. This means that this lock can protect your laptop, but at the same time you can use it with any other device that has a security slot. 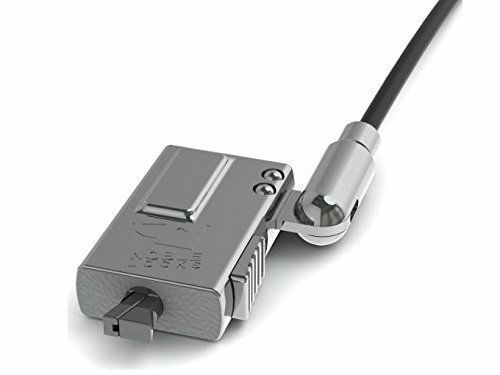 There are different types of laptop cable locks available, and if you’re always on the go, you might be interested in this lock. This is a portable lock and it comes with a retractable cable so you can easily carry it with you. The lock comes with a case that stores your cable thus allowing you to easily carry this cable lock with you. Kensington MicroSaver uses patented T-Bar lock that provides superior strength. The cable is 4 feet long and it comes with a security look. We have to mention that this is a compact lock, so it won’t block any other ports on your laptop. Regarding compatibility, this lock should work with all laptops that have a Kensington lock slot. 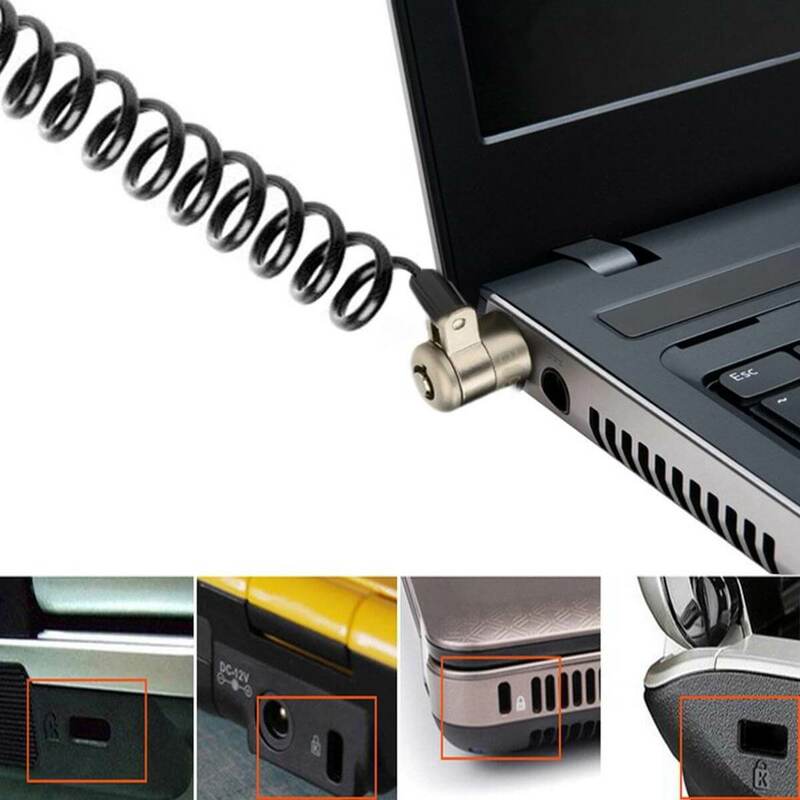 This is another compact laptop cable lock. This lock can be attached to your luggage, so you can easily carry it with you at all times. 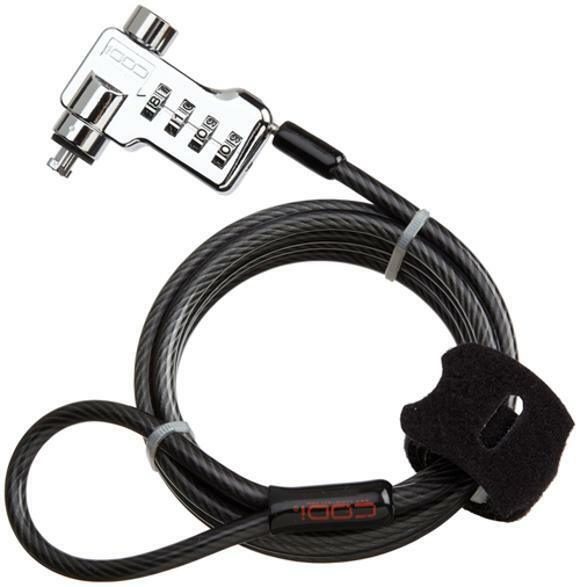 The lock comes with a plastic housing that stores the retractable steel cable. Regarding the cable, you can retract it with a single press of a button. The lock uses Kevlar reinforced cable that provides additional protection. Regarding protection, there’s a 4-digit combination lock that will protect your laptop from theft. In addition, there’s also a 95dB alarm that will start if the cable is severed or if the motion detector is triggered. Targus DEFCON 1 offers great protection and it should compatible with all laptops that have a standard lock slot. Sendt Combination Lock works with any device that has a Kensington security slot. 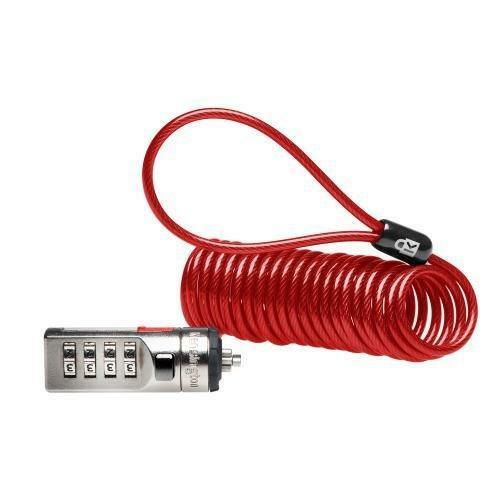 This lock comes with a 6 foot cable and 4 dial combination lock that supports up to 10000 unique number combinations. This lock will protect your laptop, but it also works with other devices such as projectors, LCD or Plasma screens. Kensington Clicksafe comes with a carbon steel cut-resistant cable that you can easily attach to the desk or any other object. Regarding the cable, it’s almost 6 feet long which should be enough for most users. The lock is quite simple to use, and you can connect it with your laptop by using a single hand. 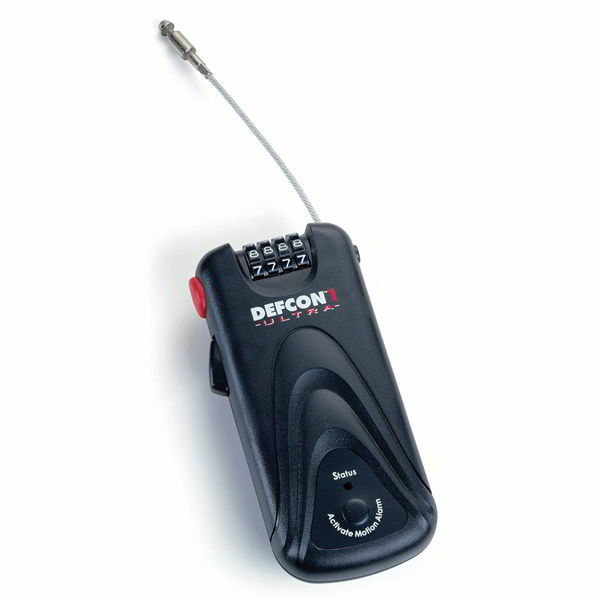 Kensington Clicksafe comes with T-Bar technology and resettable 4-digit combination. The lock head is tested and tamper-resistant, so it will keep your device protected at all times. This lock also supports Register & Retrieve system that you can use to quickly retrieve a security code in case you forget it. Codi Combination Lock is another cable lock for your laptop. This lock is compatible with most laptops, but it can also work with other devices such as flat screen displays, digital projectors, etc. The lock comes with a hardened steel head and tail pin that will keep your laptop secure. The lock has a 4-digit combination lock that supports up to 10000 different combinations. Codi Combination Lock has a stamped 304 stainless steel washer that will protect the lock from tampering. Regarding the cable, there’s a 6 foot galvanized steel cable available. 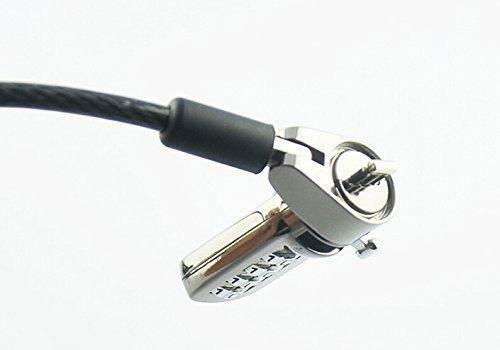 This is another cable lock for your laptop, but unlike other cable locks on our list, this one comes with a padlock. 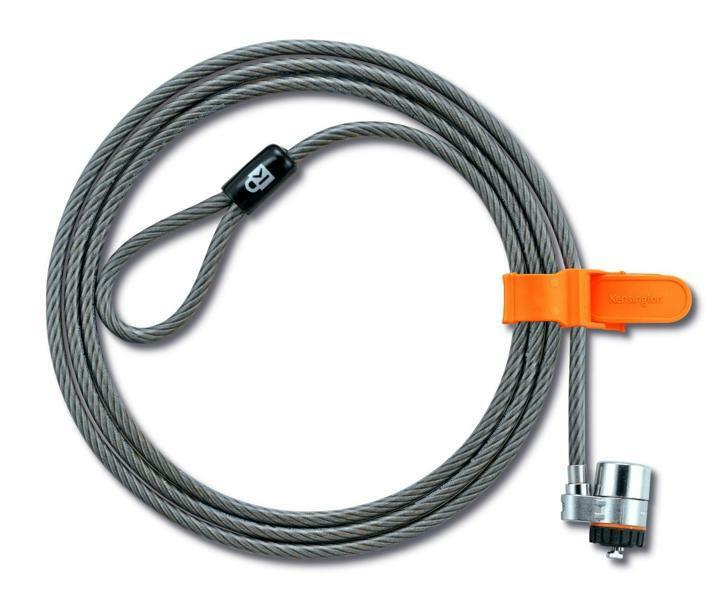 This lock also comes with a 6 feet galvanized steel cable for strong protection. The lock will protect your laptop, but you can also use it with any other device that has a lock slot. This lock comes with a master-key system, so you can use one key to unlock all locks. This can be especially useful in case you lose your key. This is a simple laptop cable lock, but we have to admit that it looks a bit unusual with the padlock. 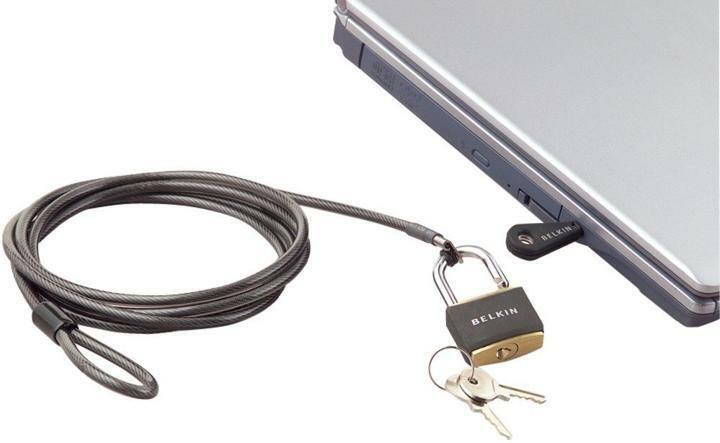 If you want a laptop lock that is different than other locks, be sure to check Belkin Notebook Security Lock. This laptop lock comes with a T-Bar locking technology and super-strong carbon tempered steel cable for maximum protection. This lock uses Hidden Pin technology that prevents the picking of the lock. The carbon tempered steel cable is covered in protective plastic and it’s fully cut-resistant. This is a simple lock and in order to unlock it you need to use the included key. In case you lose your key, there’s Kensington Register & Retrieve program that will send you the replacement. Kensington MicroSaver Keyed Laptop Lock is a great laptop lock, and with its anti-picking protection, it might be the perfect laptop lock for you. 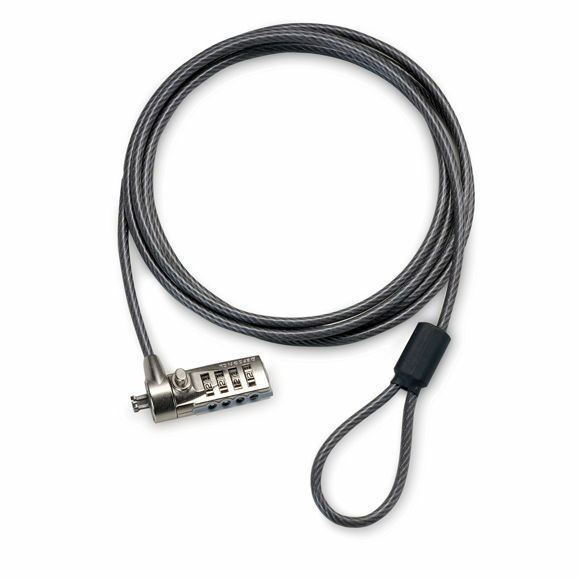 This is another 4-digit laptop cable lock from Kensington. Just like all laptop locks, this one is simple to use and you can easily connect it to your laptop. The lock uses T-Bar technology so it will keep your laptop safe from theft. The lock is strong and tamper-resistant, so your laptop will remain protected at all times. Unlike other laptop cable locks on our list, this one comes with self-coiling carbon steel cable, so it will stretch up to 6 feet. After you’re done using it, the cable will shrink down to 3 inches so you can easily carry it with you. 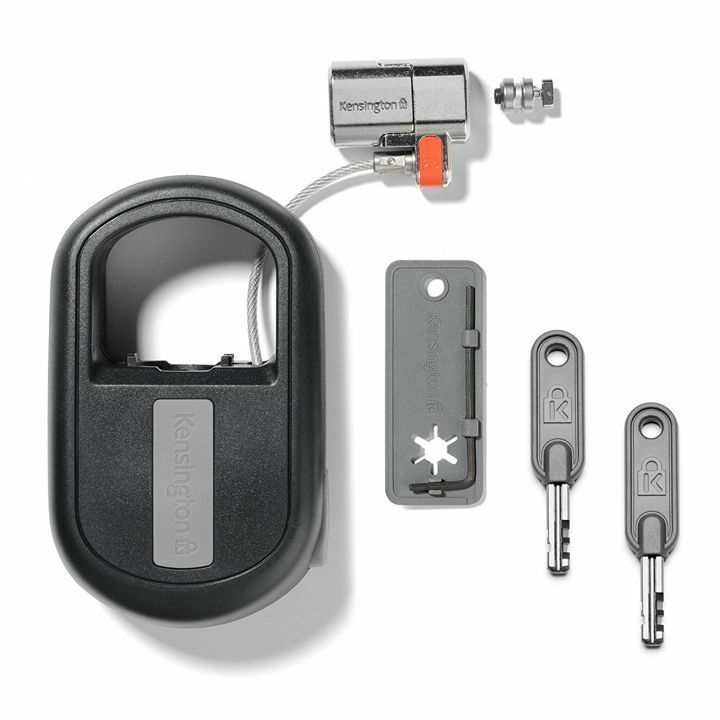 Like many other Kensington products this one also supports Register & Retrieve program that allows you to easily retrieve your lock code in case you forget it. 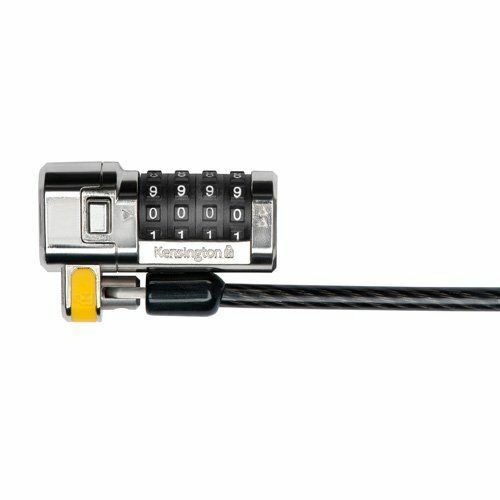 Kensington Combination Portable Cable Lock is a great laptop lock, and with the self-coiling cable it will be perfect if you need to carry it with you at all times. RUBAN Universal Security Cable is a standard 4-digit cable lock for your laptop. Keep in mind that this lock is fully compatible with other devices that have an available security slot. The lock comes with 6.2 feet steel cable that will protect your device. The lock combination can be reset, so even if you forget your lock code, you can easily reset it and set a new one. 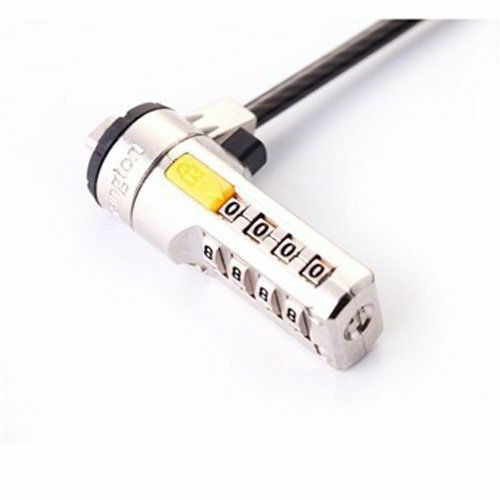 If you’re looking for a simple laptop cable lock V7 Portable Security might be perfect for you. This lock has a high strength tamper-resistant head, and there’s also a cut-resistant galvanized steel cable. The cable is about 4.9 feet long, which can be a problem for some users. Regarding compatible devices, this lock works with all devices that have a Kensington security slot. 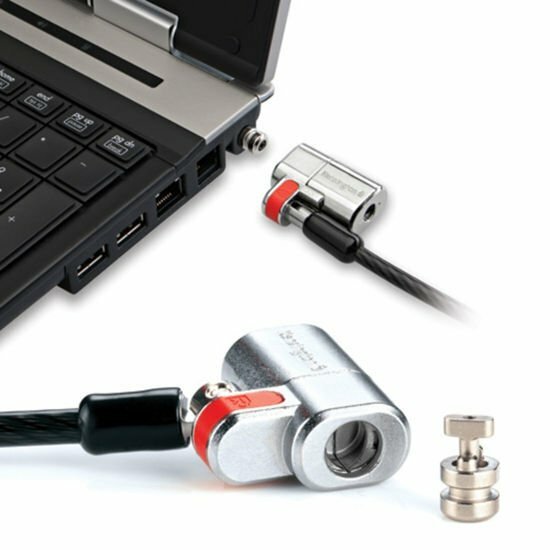 Targus DEFCON CL is a 4-digit cable laptop lock and it’s compatible with all standard laptop lock slots. 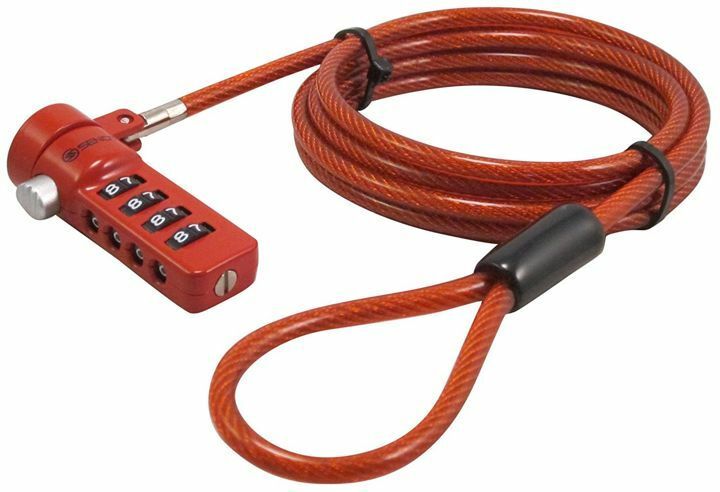 The lock comes with 6.5 feet galvanized vinyl-coated steel cable. We have to mention that cable is Kevlar reinforced, so it offers decent protection. The cable is cut-resistant so it will provide solid protection to your device. 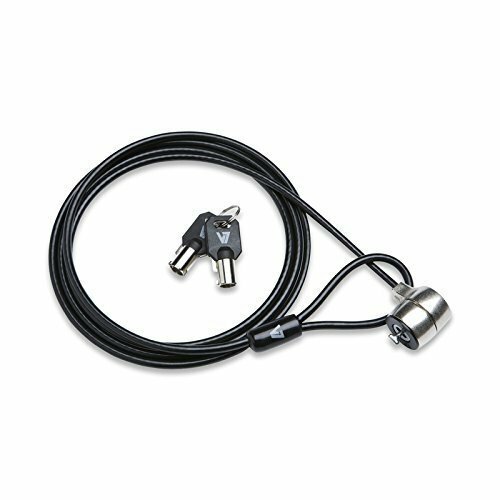 Kensington ClickSafe Laptop Lock is a simple cable laptop lock. The lock is tamper-resistant so it will keep your laptop safe at all times. To use this lock, simply install Security Anchor to the Kensington Security Slot and connect this lock to it. The cable is made from carbon steel and it’s cut-resistant. This lock is simple to use, and you can lock your laptop without a key in few seconds. In case you lose your key, Kensington Register and Retrieve system will send you a replacement key. If you own a Dell laptop, you might want to consider this laptop lock. This is a high-security lock and it comes with 6 feet long cable. The lock uses a cut-resistant steel composite cable, so it will provide decent protection to your laptop. The lock has a sleek design and it supports pivoting up to 90 degrees. This lock uses hidden pin technology that will prevent the lock from being picked. Regarding the compatibility, this lock works with Kensington lock slots. 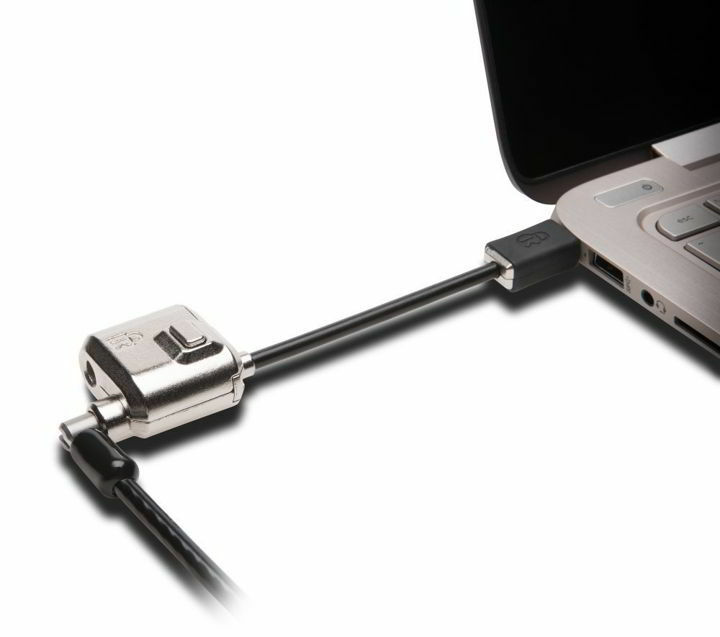 This laptop lock comes with 6.2 feet cable, so you can easily attach it to any object. The lock has 4-digit combination lock that will protect your laptop. This lock is simple to use, and you can easily lock your computer with just a single button press. The cable is made from steel wire so it will provide decent protection to your laptop. Bodyguard Security Cable is a decent laptop lock, but it might not be compatible with certain laptops, so be sure to check the compatibility before you purchase it. Protecting your laptop is extremely important, and one of the simplest ways to do that is to use a laptop cable lock. There are many great laptop cable locks on the market, and we hope that you’ll find the right one for you on our list.